Lincoln’s ascension to the status of icon was not smooth and steady. Journalist Horace Greeley predicted in April of 1865 that the sixteenth President’s reputation would grow proportionate to the distance from his own era, and it grew steadily from his death in 1865, but soared dramatically following his Centennial in 1909. The exponential growth of his popularity built into a memorial crescendo with the dedication of the Lincoln Memorial in Washington in 1922 and his likeness carved onto Mt. Rushmore in 1937. This phenomenon extended to Europe. 2Monuments are a special subset of gauging impact and offer some means to measure influence. In 1914, the British Committee of the English Speaking People’s Union in the United Kingdom sent a letter to Parliament announcing their intention to donate a replica of Augustus Saint-Gaudens’s bronze of Abraham Lincoln—dedicated in Chicago in 1887—for erection at Parliament Square in London (Hansard 118). Arrangements were made for the casting to be carried out in America, but the outbreak of the Great War interrupted this campaign. Fig. 1: Photograph of sculpture entitled “’The President’ Bronze by Saint-Gaudens located in Chicago, Illinois. Hood’s Photos of the World, 11 x 16 cm. Library of Congress, Washington, D.C.
3The American counterpart of the British Committee so disliked the Saint-Gaudens sculpture that members lobbied for another Lincoln bronze, a statue by George Gray Barnard, to substitute. This controversy erupted into a public imbroglio when, in October 1917, the matter was raised in the House of Commons. This Barnard work was nicknamed by some as “the Stomachache Lincoln,” as the statue has one hand over its abdomen (“Lincoln”). 4Robert Todd Lincoln, Lincoln’s only surviving son, preferred the Saint-Gaudens statue. 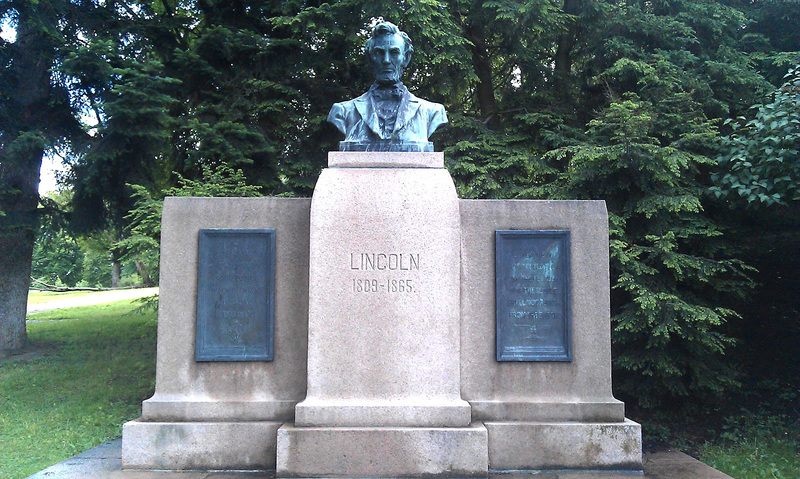 When the original was dedicated in Lincoln Park in Chicago in 1887, Robert’s only son, Abraham Lincoln II, did the honors of unveiling. This namesake later died of blood poisoning in London in 1890, when Robert was serving as the U.S. Ambassador to Britain. Lincoln’s only remaining son complained that donating Barnard’s statue and putting it up near parliament would cause “an international calamity” (Smith 137). 5This Saint-Gaudens bronze seems to have become a favorite for American statesmen—selected by Lyndon Johnson as a gift, erected in Mexico City in 1966. Indeed, Saint-Gaudens’s interpretation has invoked regular reappraisal—and in 2009 art critic Peter Schjeldahl observed “there is a resonant drama in the stretch of Saint-Gaudens’s ambition. His Lincolns apostrophize all we can’t help but want from that backwoods politician, rather like the impossible that we may want, when we fall to wanting, from art” (Schjeldahl). 6In 1920, Saint-Gaudens’s statue finally arrived in London for its grand unveiling at Parliament Square, where the Duke of Connaught ceremoniously unwrapped the statue. Yet the Barnard Lincoln had not been left on the docks. 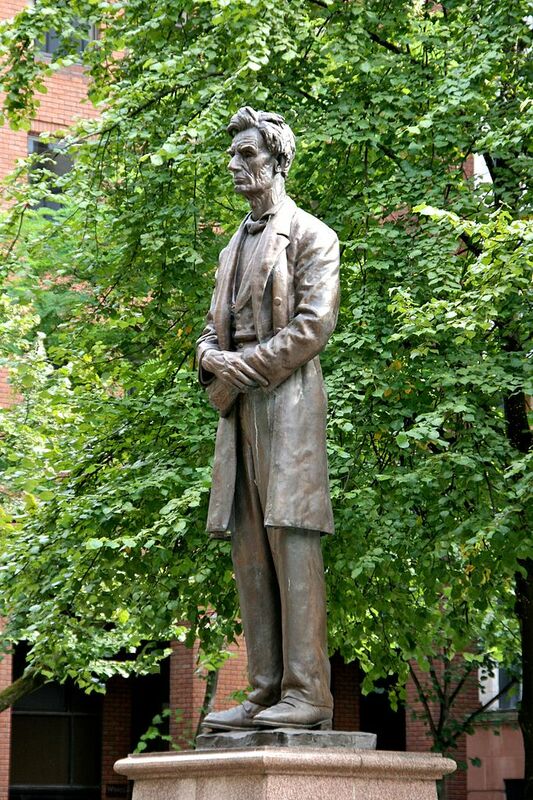 Following London’s snub, a rescue operation was mounted and in 1919 Mr. and Mrs. Charles Phelps Taft donated a copy of this statue of Lincoln to Manchester—to commemorate the role that Lancashire played in supporting the Union during the American Civil War. Manchester’s city fathers slated the monument for Platt Fields, a suburban park where families of working people gathered on Sundays. An abolitionist speech from one of Manchester’s Free Trade Hall meetings in the nineteenth century is included on the plinth of the statue, to celebrate the city’s key role in antislavery (“Lincoln Statue”). Fig. 2: Bronze Statue of Lincoln by George Barnard, photograph by Mike Peel (www.mikepeel.net). CC BY-SA 4.0 (http://creativecommons.org/licenses/by-sa/4.0), via Wikimedia Commons. 7The Barnard Lincoln was unveiled in Manchester in 1919. The special relationship of Manchester to the United States elicited warm comments. The Manchester Guardian’s critic argued that while London was to receive a representation of Lincoln the president, the statue in Manchester represented Lincoln the Man. After nearly three quarters of a century, in order to capitalize on Lincoln’s continuing popularity, the statue was shifted into a new home in the city center and the venue was renamed “Lincoln Square.” Arthur Mitchell, president of the Harlem Dance Theater, was invited to do the unveiling honors in November 1986. This venue has since taken on a certain pop quality, as in a 2009 makeover, Manchester’s Lincoln was adorned with a map of Africa around his neck and a Yankees cap affixed atop Lincoln’s head, in raffish tribute (“Abraham Lincoln”). 8A Free Russia movement had been growing in America by the end of the nineteenth century, and a branch of the Society of Friends of Russian Freedom was formed in Boston in 1891, a group which included former abolitionists, including Thomas Wentworth Higginson, Julia Ward Howe, and Francis Jackson Garrison (son of abolitionist William Lloyd Garrison) (Foglesong 19–22; Mickenberg 1026). By the turn of the century the group had diminished, but in 1903, reformer Alice Stone Blackwell revived the group (Foglesong 30) and in 1917 the New York Times announced that none other than George Grey Barnard would be presenting to the Friends of Russian Freedom a copy of his statue–intended for the Russian people. This statue and publicity surrounding the donation appeared only a propaganda campaign and there is no evidence that the statue ever left American shores after President William Howard Taft gave an address at Carnegie Hall on March 23, 1917 endorsing this cause (“Lincoln Statue for Russia”). But it does demonstrate the way in which Lincoln in bronze was intended to give abstract American ideals a permanent presence abroad, particularly within Europe. 9Finally, one of the most interesting examples of Lincoln monuments on foreign shores is the Lincoln’s memorial in Oslo, Norway. A large bust of Lincoln given to the people of Norway by the people of North Dakota in 1914. Lincoln’s signing of the Homestead Act of 1862 had enabled thousands of Norwegians to settle in the Dakota Territory and North Dakota Governor Louis B. Hanna, a native of Pennsylvania, had visited the Gettysburg battlefield at the 50th anniversary commemorations in 1913, and suggested that his state take on such a project. Hanna led a delegation to Oslo to present this newly commissioned Lincoln bronze, and on July 4, 1914, Governor Hanna’s daughter Dorothy unveiled the memorial in Oslo’s Vigeland Park. An estimated 20,000 Norwegian Americans had come to witness the festivities at this homecoming ceremony. The governor’s speech mentioned that during the American Civil War, a Union regiment from Wisconsin, “comprised exclusively of Scandinavians and mostly Norwegians, has one of the most honorable records of any regiment […] that took part in the war” (Haga). A poem by North Dakota poet laureate James W. Foley, Jr., was read, and Lincoln’s former bodyguard, Smith Stimmel delivered a eulogy (Collin). Fig. 3: Paul Bradley, Photograph of Lincoln Monument in Vigeland Park, Oslo, June 2012, http://paulieineurope2012.blogspot.de. 10The bust of Lincoln is flanked by engraved bronze tablets: one with an excerpt from the Gettysburg Address and the other inscribed: “Presented to Norway by the people of North Dakota, U.S.A., July 4th, 1914.” This moment of homecoming provided a poignant commemoration for both the immigrants who had made good and Lincoln gave them a sacred space for celebration. 11Nearly twenty years later, the mood surrounding this monument, would alter radically when, during World War II, Norway was invaded by the Germans. Many looked to America to help defeat the Nazis, although the United States was not yet officially involved in the European conflict. In the wake of occupation, Norwegians embraced this Lincoln memorial as a place of hope and resistance. 12Nazi occupiers forbade public demonstrations, but Norwegians turned out each year on July 4th —beginning in 1940—as a silent protest. This ceremony continued throughout the war, replaced by real celebrations after 1945. North Dakota Historical Society education director Rick Collin observed that during the darkest days of Nazi occupation, “Thousands of Norwegians would gather around the statue, their heads bowed in silence and prayer” (Collin). Thus Lincoln became inspirational for a generation of wartime Norwegians to stand up for freedom. 13Lincoln’s legacy was celebrated in another important dimension with the commission by the American embassy in France of a likeness of Lincoln—the structure by Henri Marquet and the mosaics by Vincent Charra—dedicated at the University of Chicago Center in Paris, in honor of the first international conference on Lincoln held at the Sorbonne in 2009 (Chouard). This small gesture, and continuing largesse represents the lasting impact of Lincoln’s reputation and Europeans’ embrace of this aspect of America’s culture of celebration. 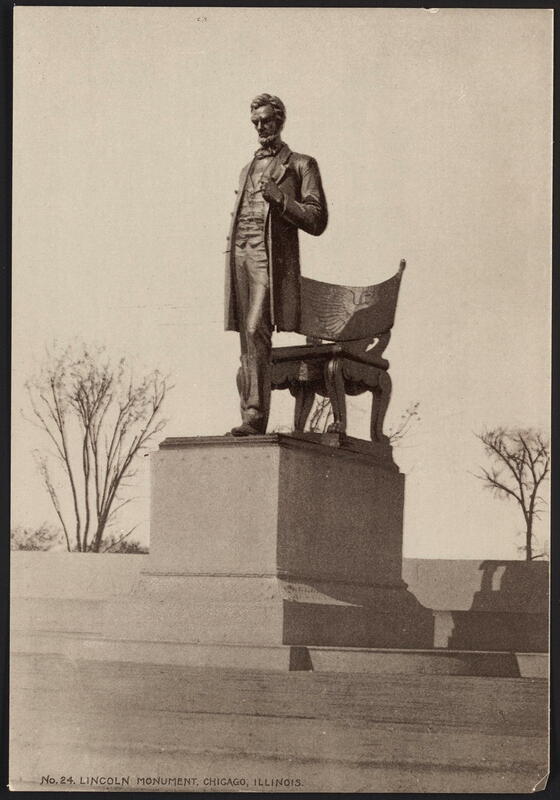 “Abraham Lincoln.” Public Monuments & Scupture Association. National Recording Project. Pmsa.org.uk. Web. 13 April 2016. Choate, Joseph H. “Abraham Lincoln” [Address Delivered Before the Edinburgh Philosophical Institution, 13 Nov. 1900]. The Papers and Writings of Abraham Lincoln. Vol. I: 1832–1843. Ed. by Arthur Brooks Lapsley. New York: G.P. Putnam’s Sons, 1905. 130–187. iBook. Web. 13 April 2016. Chouard, Géraldine. “A l’occasion du bicentenaire d’Abraham Lincoln: Inauguration d’une statue dans les jardins de l’Université de Chicago à Paris.” Transatlantica 2 (2009). 1 Feb. 2010. Transatlantica.revues.org. 21 Apr. 2016. Collin, Andrea Winkjer. “Summer 2008: 1862 Homestead Act Weaves a Common Thread.” North Dakota Horizons (Summer 2008). Nd.horizons.com. Web. 21 Apr. 2016. Foglesong, David S. The American Mission and the ‘Evil Empire’: The Crusade for a ‘Free Russia’ since 1881. Cambridge: Cambridge UP, 2007. Print. Haga, Chuck. “North Dakotans Plan Expedition to Celebrate Lincoln’s Norway Tie.” Grand Forks Herald 2 May 2009. Grandforksherald.com. Web. 21 Apr. 2016. “Lincoln: Was He a Slouch?” The Art World 2. 5 (Aug. 1917): 416–20. Print. “The Lincoln Statue at Manchester.” The Times 6 May 1919: 7. Print. “Lincoln Statue for Russia. New York Times 22 march 1917: 1. Print. Marx, Karl. “Zu den Ereignissen in Nord Amerika” [On the Events in North America]. Die Presse (Vienna) 12 Oct. 1862. Karl Marx and Friedrich Engels. Collected Works. Vol. 19. New York: International Publishers, 2009). 249–50. Print. Mickenberg, Julia L. “Suffragettes and Soviets: American Feminists and the Specter of Revolutionary Russia.” Journal of American History 100. 4 (March 2014): 1021–51. New York Times 10 Feb. 1890; 22 March 1917; 2 Oct. 1917; 15 April 1921. Print. Schjeldahl, Peter. “High and Low Relief: Augustus Saint-Gaudens at the Met” The New Yorker 24 Aug. 2009. Newyorker.com. Web. 18 Apr. 2016. Schwartz, Barry. Abraham Lincoln and the Forge of National Memory. Chicago: U of Chicago P, 2000. Print. Smith, Adam I. P. “’The Stuff Our Dreams Are Made of’: Lincoln in the English Imagination.” The Global Lincoln. Eds. Richard Carwardine and Jay Sexton. Oxford: Oxford UP, 2011. 123–38. Print. Catherine Clinton holds the Denman Chair of American History at the University of Texas, San Antonio, and is the author and editor of over 25 books, including a graphic novel entitled Booth. Her most recent study, Stepdaughters of History: Southern Women and the American Civil War, Baton Rouge: Louisiana State UP, 2016, emerged from her LSU Fleming Lectures in 2012. Clinton is currently President of the Southern Historical Association and was awarded a Guggenheim fellowship for 2016–2017. Clinton, Catherine. “Statues and Status: Lincoln in Europe.” American Studies Journal 60 (2016). Web. 24 Apr. 2019. DOI 10.18422/60-04.